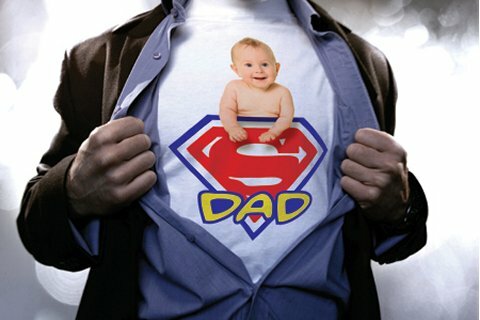 I am challenging all of you fathers out there to man-up, be a remarkable man and be a hero to your children. It’s time we bring back the good in fatherhood. 1) Make time for them – engage them in their homework or hobby… show them you are interested in what interests them. If they engage you, it takes so little time to put down the paper, or turn away from the computer or TV and be present with them for awhile. 2) Tell them you love them – no matter what the relationship status is, letting your kids know that Dad is a great source for love is invaluable. 3) Never give up on your children – There may be times when being a father is frustrating, painful and you find yourself ill equipped to handle it, but hang in there. Let your kids know you don’t have all the answers, they may have to stumble and fall on their own, but always let them know that their Dad is there to love them, guide them and stand beside them. If time and distance have separated you… reach out. Make the call. Do not expect to heal everything. Just let them know their Dad is here for them. 4) Be an example – Show them you are a man of integrity, of character and honour. You are setting them up for the rest of their lives. Show them what a real man is and how he lives his life. 5) Show them you love their mom – Not all parent dynamics are equal. The ideal loving family unit is sadly losing ground in our society. You may be divorced, you may be a father outside of marriage, or circumstances have you apart from their Mom. Whether it’s a healthy relationship or not, their mom is their mom for life. You must respect this fact and be an example of what a Remarkable Man stands for. Kids need to know that the parents are mature enough to set aside any pettiness and honour each other for the role they played in bringing their children into this world. Your children are a gift to teach you more about your life than you ever thought possible. When you come from this place it’s easy to be in awe of the miracle you have in your life. 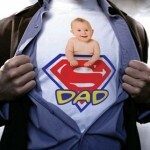 Lets make Fatherhood mean something Remarkable. Now go be their hero. « Fathers and sons: Bonding takes time!